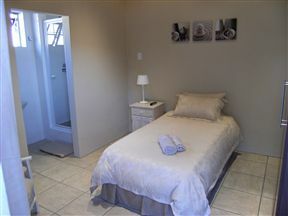 We offer clean and comfortable self-catering en-suite rooms. There are three with fans, and four with air-conditioning, and each with its own private entrance. All rooms are equipped with a bar fridge, kettle, complimentary tea, coffee, and sugar, crockery, cutlery, and complimentary toiletries. Single, double, queen, and king-size beds are available. 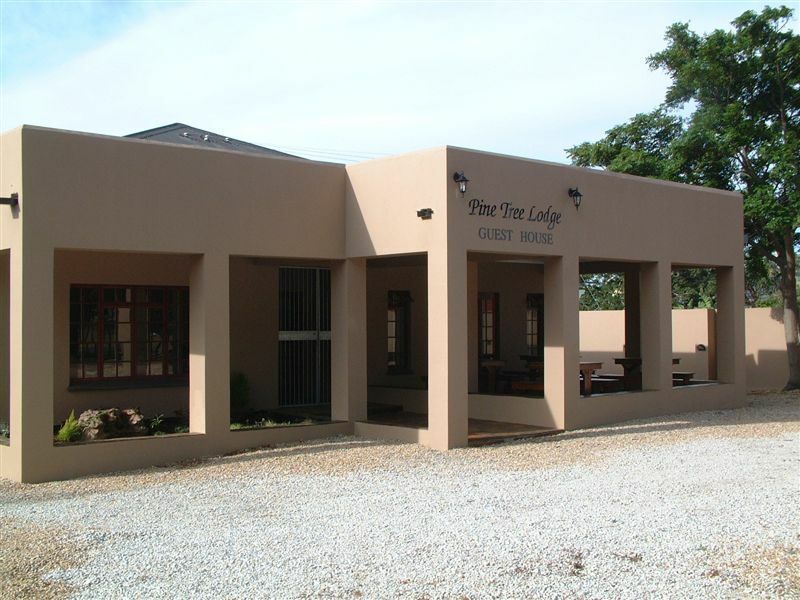 Although located close to the airport, planes do not fly overhead and they land on the opposite side of the guest house so there is minimal noise. 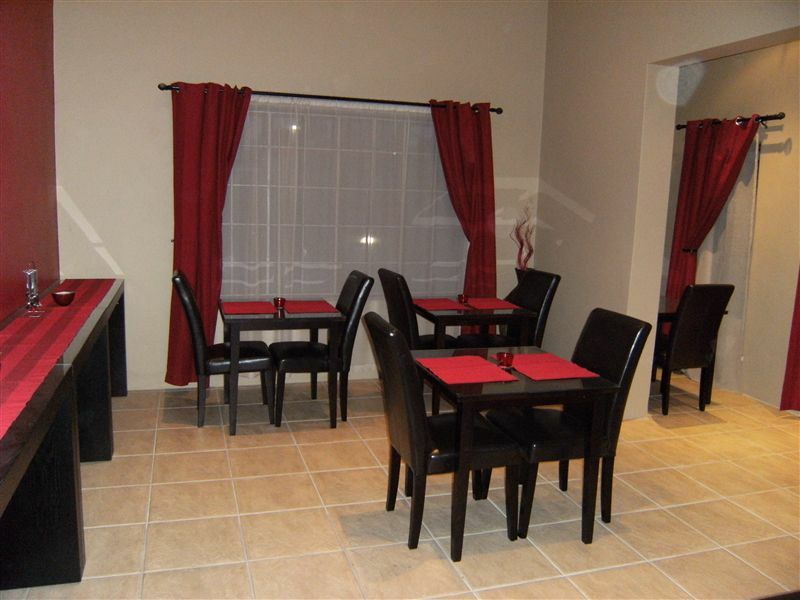 The accommodation is set far back from the road and does not impact on the peaceful setting. Full English breakfasts are optional and served in our comfortable dining room which opens onto an undercover outdoor dining area. 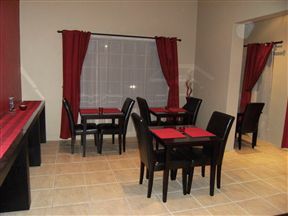 The rooms are serviced daily except on Sundays. We are a non-smoking establishment but guests are welcome to smoke in the outside undercover seated area. Breakfast is extra R50 per person. En-suite room with single bed. 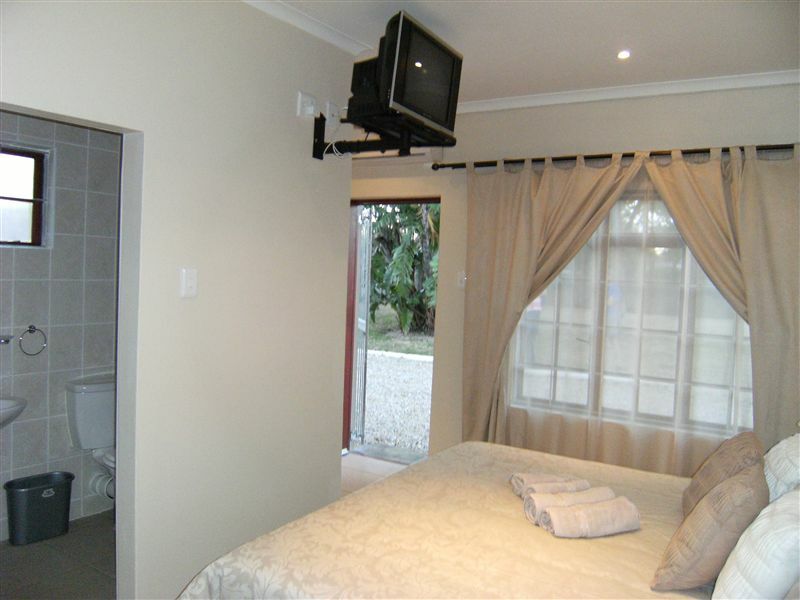 These en-suite rooms offer various bed configurations such as twin, double, and king-size. 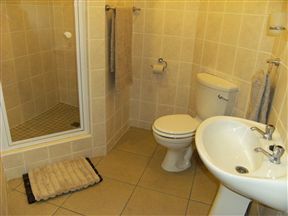 En-suite room with queen-size bed, bath, and shower. 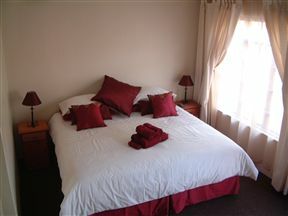 En-suite room comprising of one double and one single bed. We enjoyed staying here. Accommodation was excellent. The place is convenient. I suggest you include breakfast in your quotations.